If you work with data in your job, or are simply trying to understand surveys and research so you can make better decisions, check out the free online course from Google that begins next month. Making Sense Of Data is a four-week course intended for the general public—students, teachers, business owners, researchers, journalists—anyone who works with data daily and wants to apply data to practical problems. Instuctors for the course are Amit Deutsch an Instructional Designer in the engEDU Department at Google and Joe Hellerstein, who manages the Computational Discovery Department at Google. In the course you’ll learn about data structure and organization, the steps of the data process, as well as organizing, summarizing, and creating charts from data. You’ll also learn about finding patterns and relationships in data and have the opportunity to complete a final project. The free course is self-paced, runs from March 18, 2014 through April 4, 2014, and is expected to take 10-15 hours to complete. During the course, you’ll learn to use Fusion Tables, a Google web application for gathering, visualizing and sharing data. If you complete the final project and final assessment by 8:00PM Pacific Standard Time on Friday, April 4, 2014, you’ll receive a certificate of completion. Learn more and register for the Making Sense of Data course. I signed up today, so I’ll share some of my thoughts about the course in future posts. 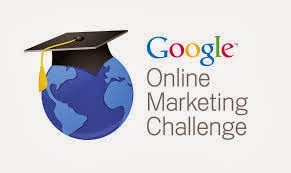 This avenue would enable student to train,lead and equip fellow student for Google Online Marketing Challenge(GOMC) and expose to online marketing trends and enable them to achieve great results in the competition or challenge.If students are successful in the Adclass they would have the option of being invited to the online marketing lab. 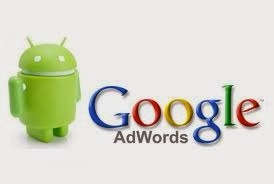 With this challenge it gives student the chance to leverage on the various ways of marketing through Adwords,moreover it enable every participating who is a non-geek(any course) to get the advantage to partake in this wonderful initiative by Google,student who perform in the marketing of the business would be given prizes and cash prizes from google,also companies that were used for this campaign that won would also be given cash prizes. Last year (2013) was a very exciting year for the GOMC because over 50,000 student and their professors took part in this competition powered by google in other to improve their Digital Marketing and skill and it was awesome,now its 2014 we looking up to a year that would competitiveness of student world wide.